You'll be surprised when you learn some of these fun facts about basketball. I definitely encourage you to become familiar with the "need to know" facts like rules, player positions, ball sizes, court markings, etc. But, also take the time to dig into some fun facts about basketball history as well. When my daughter was little, she loved school. Everything about it. Well, except one thing…Going over the class rules. She dreaded sitting through the first day of school routine year in and year out, from one class to the next. Well, unfortunately, that's where new players and coaches need to start as well. With the not-so fun facts about basketball rules. At the youth level, the rules are pretty simple. And my experience has been that officials show a lot of grace during the early seasons. I've seen many officials after blowing their whistle, stop to explain the violation to the often confused little player. I love how they participate in the learning process. No doubt it makes for a slow game, but it's a great way for kids to learn. As players advance, so do the rules and expectations. Coaches, don't feel overwhelmed at first. Teach players the rules on an "as needed" basis. As new skills are introduced, the rules associated with them can be taught as well. Parents and fans, I strongly encourage you to familiarize yourself with the basic rules as well. You'll enjoy the game a whole lot more if you know what's going on. I say that, but my grandmother watched me play for years, and I'm not sure she ever really understood what she was watching. I think she just loved cheering on her grandkid. You may not realize it, but basketball rules vary between boys' and girls' leagues and between playing levels. High school rules differ from youth rules. College rules differ from high school, and professional and international rules are different still. As a spectator, it's not uncommon to hear fans become frustrated and voice their disapproval at the officials. At times, it's clear they misunderstand or are misinformed about the rules of the game they're watching. What's legal at one level may be a violation at another. So, here we go. Let's learn how to play basketball. What does it mean when the official blows her whistle? 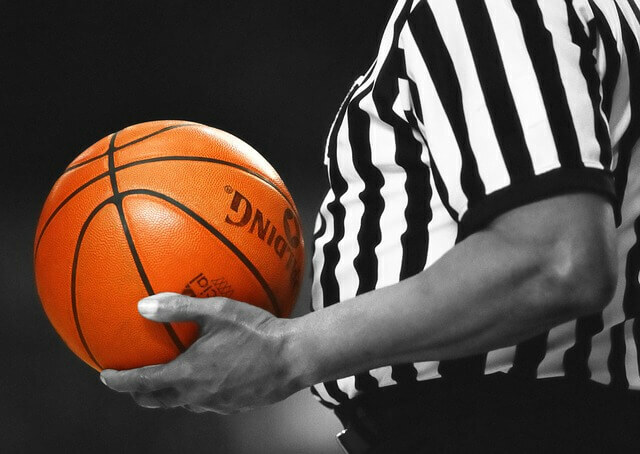 Learn about the common basketball fouls, violations, and referee hand signals. Why do the players stand where they do? 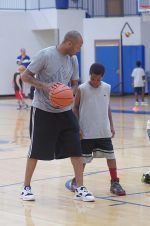 Learn about the 5 basketball positions: #1 and #2 positions players and #3, #4, and #5 positions. You may hear a lot of words you're unfamiliar with. This glossary of offensive basketball terms A-I and J-Z along with defensive terms will help you make sense of them all. Did you know that basketballs come in different sizes? Make sure you know the size appropriate for your child's league. 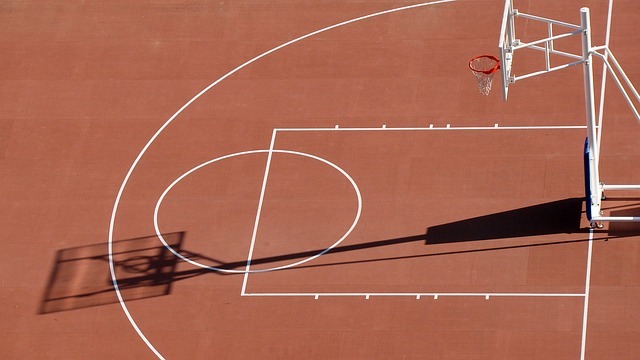 Just as rules vary by playing level, so do the court dimensions. Want to build your own backyard court? It may be easier and cheaper than you think because the game can be played on a variety of court surfaces. Are you familiar with the history of hoops? Here are some fun basketball facts that are sure to impress your friends at your next trivia game. Check out a brief history of basketball and see how it evolved from very humble beginnings to the worldwide phenomenon it's become today. Ever heard of James Naismith? He's been credited with inventing the game. When you see the thick rule books today, you'd never realize the game started with just 13 simple rules. The original rules didn't just change overnight. Follow the timeline to see when major rule changes took place. The women's game didn't get started until later and had a life of its own apart from the men's game. It wasn't long until the game became professionalized. The origin of the NBA is fascinating and barely resembles the league we watch today. The NBA record books are full of players I bet you've never heard of. Enjoy some more (relatively useless but) fun facts about basketball.